This system is widely used in electric traction. 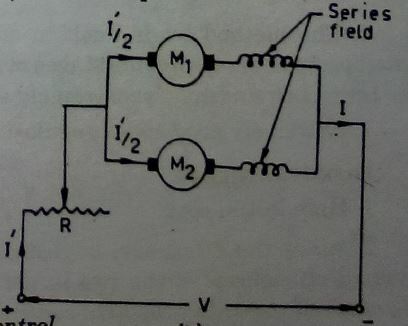 Here two or more similar mechanically coupled motors are employed. At low speeds the motors are joined in series. At high speeds the motors are joined in parallel. 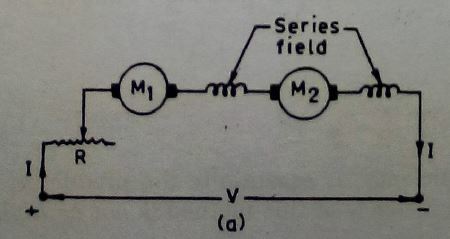 The torque is times that produced by motors when in series.